Recently I have been loving the app Pinterest. I used to not really undestand the Pinterest interface, prefering We Heart It for finding images; an app that I have used for over two years and I am very familiar with. 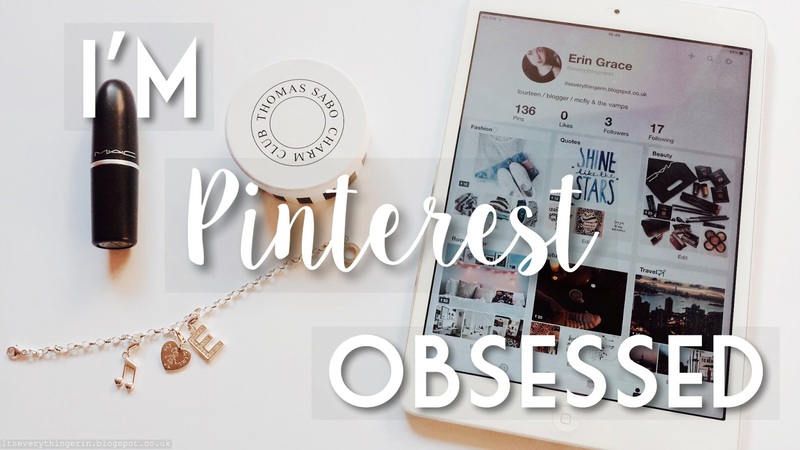 I've read many posts such as this one that explain the benefits Pinterest has for bloggers. Although I haven't figured out exactly how this app is supposed to help my blog yet (maybe I'll write a post about it myself if I ever do work it out), I got inspired to create an account and jump into the world of Pinterest. For those of you who don't know, Pinterest is an app/website on which you create 'boards'. You search for photos tagged with whatever you desire and 'pin' your favourite photos to each board. You can have different boards for different things - mine include beauty, fashion, quotes and autumn. I found this idea very similar to We Heart It's collections, on which you 'heart' images to. Do you use Pinterest? Let me know your username in the comments, because I haven't been using it for so long I don't follow may people! Also make sure you are following me on Pinterest - my username is everythingxerin. I started a Pinterest account once, maybe about a year ago and then made a new one not too long ago but I'm not really quite sure how to find cute pictures haha. I LOVE the ones you shared here :D Do you follow other people or do you just search for the stuff?